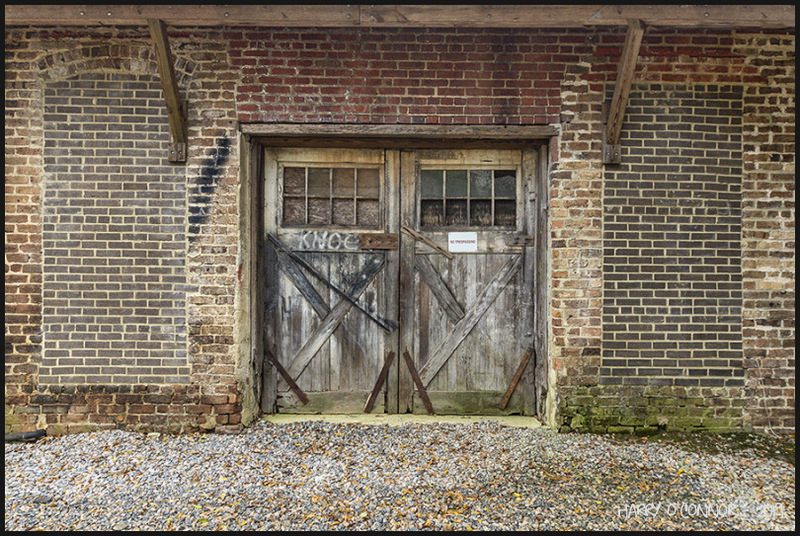 Harry (Apex, NC, United States) on 8 January 2019 in Cityscape & Urban and Portfolio. The loading dock doors of Pittman's have been hailed shut. Aw!! Certainly entry barred !!! The greyed wood of the doors fits the bricks perfectly. What a wonderful character set this all makes . . a photographer's delight ! Beautiful framing of the door and textures and tones . Superbe details and textures in this image. Splendid textures and patterns captured in this frame!! Crudely barred, beautiful aged door. I really like this composition, Harry! Nice tones, as well! @Elizabeth Buckalew: I regret to inform you that as of January 1, 2019, I no longer participate in Captcha verification. I am tired of clicking stop lights, store fronts, automobiles and similar inanities in order to reply to comments when I do not require commenters on my site to go through the same torture. Thank you for your understanding, and for any comments you make that I will not be able to reply to.